The Task Force on National and Homeland Security is an official Congressional Advisory Board, recognized as such by the Ethics Committee under the name “Task Force on National and Homeland Security” and as a Virginia based, 501(c)(3) nonprofit organization under the name “EMP Task Force on National and Homeland Security”. As such, the Task Force on National and Homeland Security receives no Congressional funding and operates solely on donations. The Charter establishing the Task Force on National and Homeland Security was signed by members of the Congressional EMP Caucus on November 17, 2011. (Click here to see Charter.) 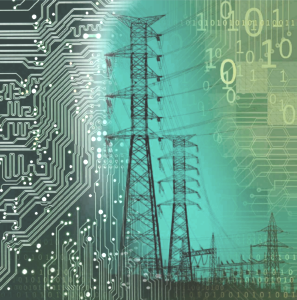 The Task Force on National and Homeland Security serves to provide expert views and advice on any and all technical, operational, and policy matters of relevance concerning Electromagnetic Pulse (EMP) and its impact on civilian critical infrastructures, including electric power, communications, transportation, energy, banking and finance, food and water. The Task Force on National and Homeland Security also provides leadership for and coordinates with other affiliated groups who are concerned with the loss of the U.S. power grid and other critical infrastructures from any and all threats. The Task Force on National and Homeland Security was formed in 2011, in part, to act as a surrogate for the Congressional EMP Commission during which time it was decommissioned. The Executive Director of the Task Force on National and Homeland Security is Dr. Peter Vincent Pry. Congressional commissions, such as the Congressional EMP Commission, are instruments of last resort, established when departments and agencies and the U.S. Congress cannot achieve consensus on controversial issues vital to national interests. Typically, commissioners are senior statesman and nationally-recognized scientists or experts, selected on a bi-partisan basis, so that their findings will be respected by all regardless of party affiliation. Congressional commissions typically are invested with broad legal powers to carry out investigations, to compel departments and agencies to provide any and all relevant information, to hold hearings to air all points of view, and to conduct research. 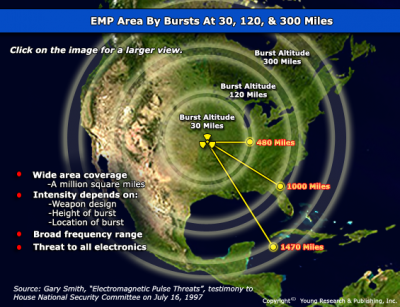 The EMP Commission was first established by the U.S. Congress in 2001 and served until 2008 to develop recommendations to protect the U.S. military forces, the national electric grid, and other critical infrastructures from nation-ending threats of nuclear EMP attack and natural GMD from solar super-storms. The findings of the EMP Commission Reports of 2004 and 2008 were conclusive. As of 2017, no fewer than nine additional studies conducted by or for federal agencies have all since concurred with the EMP Commission’s conclusions that the U.S. bulk power distribution system can be disrupted or destroyed over large areas due to various man-made and naturally occurring events. The EMP Commission was re-established in 2016 by the U.S. Congress due to the lack of implementation of the 2008 EMP Commission’s recommendations to protect the electric grid and other critical infrastructures, the growing threat of nuclear EMP attack from North Korea and other potential adversaries, the ever present risk from extreme solar weather, and the increasing threats from cyber warfare and physical attack. The Department of Defense stalled re-establishing the Commission for almost a year before this congressionally reinstated commission could hold its first meeting in January 2017. The (2017) Congressional EMP Commission was chaired by Dr. William Graham, the foremost EMP expert in the Free World, who served as President Reagan’s White House Science Advisor, was Director of NASA, and was on the defense science team that first discovered the EMP phenomenon during the 1962 STARFISH PRIME high altitude nuclear test. The EMP Commissioners and staff included some of our greatest scientists and strategic thinkers, including Dr. John Foster (designed most U.S. nuclear weapons currently deployed), Dr. Lowell Wood (formerly Lawrence Livermore National Lab, the most inventive American in history, holds world record for inventions), Ambassador Henry Cooper (former Director of the Strategic Defense Initiative), Dr. Peter V. Pry (formerly with the CIA, currently the Executive Director of Task Force on National and Homeland Security, author of numerous books on national security issues) and many others.